3M™or KSC brand non-skid abrasive film backed with a pressure sensitive adhesive for use in any area where slipping is a hazard. Will adhere to any smooth, clean surface. For treated lumber, it is recommended to seal the wood before applying anti-slip tape. It is impervious to the effects of grease, oil, water and most acids. Strips in 3/4" x 24"
Strips in 3" or 6" x 24"
Anti-Slip Abrasive Tape is recommended for smooth, clean surfaces on any area where slipping is a hazard. May be used indoors or outdoors. 3M(TM) Safety-Walk(TM) or KSC Super recommended for long-term or OEM applications. 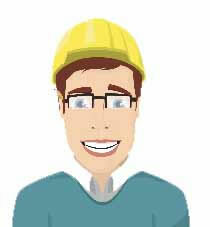 KSC Regular recommended for contractor or general purpose applications. I want to help an elderly couple who must use a full story high wooden stairway to enter and leave their house. Their steps are very slippery when wet and we are in a long-running wet weather pattern now. I want to apply some slip protection very soon to these steps. Do you have a product that can be applied to wet wood? I wouldn't mind tacking it down to help hold it in place. Can this tape be applied to the bottom of scatter rugs to prevent them from slipping? We have outdoor concrete stairs that have been painted with a sanded paint. We want to add contrast steps as well as improve traction. Is the Super Grip tape appropriate for painted concrete? Do you sell a non-skid tape that can be applied to pool steps that are currently under water? Hi I work on a tug boat and was wondering how good would the yellow glow in the dark skid free tape would stick on iron. I was wondering which product will work best for a bathtub application? Hi, I live on the beach in CT, we need a tape for our outdoor stairs for a little traction but mostly for visibility to ensure family elders don't miss the depth of the stairs as they visit. What do you recommend that is 1. easy to apply? I am not that handy! 2. something that is visible in the day time without being garish or overtly commercial looking 3. that can handle the blazing sun and freezing winters? Thank you!! want to put down a 22ft strip on street edge of sidewalk.If I ever need to remove it what is easiest way to do so. Want to put down a 22ft long strip on the street edge of my side walk. I live in Central NJ. Will this hold up to weather conditions. Also can I paint it with Handicap blue latex paint? Is this product something that bare feet could stand? We are a medical office and looking to put this material on the step on our exam tables. Thanks in advance for your attention to this matter. I am looking for a traction tape to put on the ramps of My car trailer. The ramps are diamond plate and I am wondering if the tape is flexible enough to go over the diamond plate and adhere to the ramps. What do you recommend for two concrete exterior steps ? Should be anti slip and contrasting colors. Will your tape work on composite decking? I need to mark the steps edges for safety. Just wondering if the KSC Super Grip would be the correct product to put on steps made from 2x4's going out into garage. The 2x4's have been painted! APPLICATION IS ON LEXAN HATCHES OF SALT-WATER SAILBOAT. KSC OR 3M SUPERGRIP? GRIT >60(HEAVIER)? 1-2" WHITE? will this work on the stairs of my ladder to my above-ground pool? My treadmill mat is slippery. Sanding has helped somewhat but I wonder if this tape would work since the mat would constantly be in motion. Thank you. I have hardwood floors and stairs throughout my home. I need to know which tape and size you recommend to purchase for my stairs. I just got 2 new puppies and they're slipping on the slick wood stairs. Also we of course go up and down this stairs with bare feet as well. I have a tiled floor that has games projected onto it, like a giant IPAD, that the kids play with their feet, sock feet. The floor is getting more slippery the more the kids play. Which product would you recommend for this application? Hi, I have to handicap ramps leading to porches, all treated wood. Would you suggest a long vertical strip on tape down the ramp. Or, would it be better to place strip on each deck board across the width? Thank you for your time. When the area around our in-ground pool steps(in Southeast NC)gets wet, it becomes really slick. Do you have a product we could use in that area to prevents slips and falls? Hello I am looking at the KSC super grip and regular grip. I wanna know what type of material this is? Is this like a rubberized material or more like the grip tape on a skateboard? thanks! Do you ship into Canada? I'm interested on the Non Slip Tape, but the only payment you accept is a credit card. 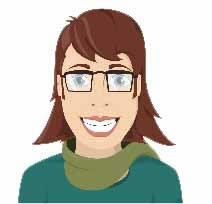 I use to pay through my Paypal personal ckecking account with FirsbankPR. Apparently you do not accept this type of payment. I live in Denver, CO and have a new, smooth surface, colored metal roof over our front porch that faces south.It slopes in a 15 degree angle away from the house, towards the south. It has a glossy surface. I need to put a 10 ft ladder on that metal roof to clean the gutters on the 2nd floor above it. I was going to order your clear, A636 Super Grip tape to apply to the roof so the rubber feet on the ladder would not slip. I was also going to get your A405 sealer to put on the edges of the tape. Do you agree with this solution, or do you have another recommendation? Any suggestions on installing this tape like roughing up the smooth suface for better adhesion? Thanks for you help!! I have a question about the KSC regular aqua tape #A636. What I'm applying it to is a PVC bird perch. 1. Will it apply to PVC? 2. How rough is it, texture wise, since a birds feet will be on it. I'm making a bird perch for the shower for my bird. Need 12" length x 5". I realize I'd have to buy the 30' length. It didn't say if it would stick to plastic or PVC. Good afternoon! We need to replace the grey non skid tape on the metal swim platform of our boat. Looking at the KSC super grip 1" tape in grey. Will this tape work or is it too abrasive for bare feet? The kids spend a lot of time jumping off the swim platform! I just purchased the super grip tape. I am using it for the bully sidesteps and rear bumper on my truck that get slippery when wet. I should have asked before I purchased. Will these products work on metal and if so what is the best way to prep the metal for maximum adhesiveness? Thank you! Does treated wood need to be sealed before applying anit-skid tape to a ramp? What should treated wood be sealed with prior to using Anti-skid tape? Can the anti slip strips or tape be used on TREX steps? Hi Vendonna, No, it's not recommended for submerged applications. 3M(TM) or KSC anti-slip non slip adhesive tape. Sold in strips, and rolls. Available in all sizes and ships the same day free. the supper grip product is great. installation was easy and had no problems, looks like it will holdup well. the only issue we had was with the regular grip materials. the material installed in the shade was fine but any material installed in the sun started to expand and wrinkle. The adhesion was not good, we will need to remove the product and reinstall using the supper grip. Thank you for your review. We appreciate your feedback. We are glad the Super Grip worked out well. If the Regular Grip was installed in the hot sun , that could cause the material to possbily wrinkle. If you would like to return the unused Regular tape, feel free to contact our returns department and we'll make it right for you. The Non Slip Tape I got works great on my aluminum enclosed trailer ramp door. Thank you for your review. We very much appreciate the feedback and thanks for sharing your application with us as well. We've been ordering grip tape through Koffler for years -- the prices are great; turnaround time is even better. Thank you for your review and your continual support. We very much appreciate your comments concerning our great pricing and delivery. Your Past, Present, and Future Business is Greatly Appreciated. I use this product on scaffold platforms that I use as mounting blocks for my horses. It provides great traction in all weather to make getting on the horses safer. I recommend that the user buy the adhesive in addition to the tape if using it outside as the sun tends to dry it out. Thank you for your review and the positive feedback concerning our Non Slip Tape. Yes, very good suggestion to make sure the surface is always clean and dry before the tape is applied. For years I have tried to find a product that would work on our ramp we use for the marching band. All others were utter failures. This stuff is absolutely perfect! Thank you for your review. We very much appreciate the detailed feedback and your kind words about our product. If we can ever be of further assistance please don't hesitate to give us a call. Great stuff! Sticks to wood coated with treatment! I bought this previously from Koffler sales five or six years back. Wear and tear and weather meant that I had to renew the safety tape on the steps so I bought replacement from a large DIY retailer. It lasted less then 3 months and was terrible. I re-ordered from Koffler and just the feel of the product was a statement of durability and strength. Do not buy the cheaper versions! Not worth it! Thank you for your review and the kind words about the quality of our products. It's a huge initiative on our part to always carry the highest finest products. Thanks for thinking of us again. Precut 3" x 24" strips are excellent. They stick well, stand up to weather and foot traffic. Even light pressure washing doesn't effect them. Really improves visibility on steps. Thank you for your review, we appreciate the detailed explanation. If there's ever anything else you need, please don't hesitate to give is call. Thank you for your review. We are very pleased that one of tape products has worked out well for you. Boy, what a unique solution! Thank you for the review. We're glad you like the replacement product, our Glow In The Dark Non Slip Tape. Feel free to give us a call if there's anything else we can do to help you. Applying non stick adhesive tape to slick surfaces may slip (pun intended) your mind -- until someone slips, falls or injures himself. If you are working in or around any area that may get wet and slippery, anti slip tape by 3M™ and KSC is an affordable and easy solution to possible accidents starting from less than $10 per roll! Installing KSC grip tape and 3M™ Safety-Walk™ products has never been easier. KofflerSales.com offers pre-cut and ready to install non slip adhesive strips in addition to anti slip tape rolls. It's so easy, you might be able to train your cat to do it. 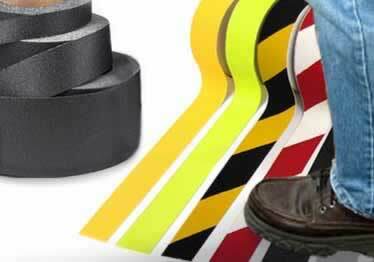 Non slip tape by 3M™ and KSC can be used for more than just accident prevention around wet and slippery surfaces. You can apply grip tape to a handicap accessible ramp to make it easier to use or use the anti slip tape on the back of your pickup truck to prevent items from shifting and damaging each other while in motion. There's so many ways to use anti slip adhesive tape that over 110 Koffler customers like you have shared a review. With over 10 color selections, KofflerSales.com offers the right product for your project.